When you're heading to a mountain environment it's worth investing in a ski pant that can stand up to punishing conditions. 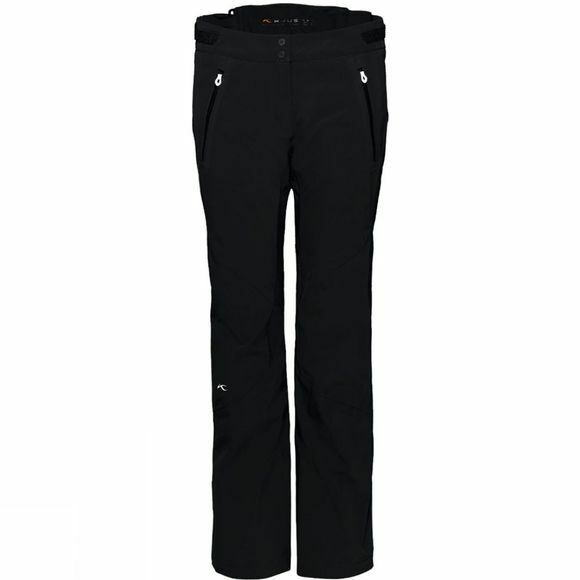 The KJUS Formula Pant has become a firm favourite with our customers due to the high quality fabrics and unbeatable performance that it offers. This season, KJUS have given this pant a facelift, receiving new bodymapped lining concept to further protect from climate and injury. The improved fit now comes in regular, short and long lengths for a perfect fit won't hold you back when you are pushing yourself to the limit. Created from an idea by Olympic ski champion Lasse Kjus and the Swiss entrepreneur Didi Serena, Kjus stands for sportswear made of innovation, high-performance material with a distinctive clean design. Their award-winning collections are developed by passionate sports experts and tested by professional athletes. The company shook up the market with its extremely stretchable high-tech garments, setting new standards of performance along the way. The products are designed to enable sports people to fully focus on the experience. Driven by their enthusiasm for sports and an uncompromising vision, KJUS continues to push further, innovating with every seam, fabric and detail.